Captain Mark Colby, a 10th generation descendant of Anthony, recently launched a narration of the life of his grandfather in his book: "A Remarkable Life Remembered." 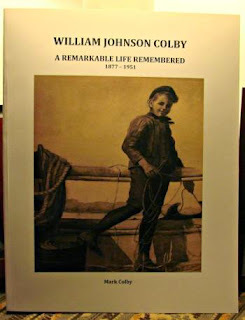 Mark Colby’s account of William J. Colby’s momentous journey is blended with ancestors oral and written accounts as well as archival records gathered from research and family contributions. The real-life dramas of these brave, undefiled master mates and "indomitable, fierce spirited" matriarchs illustrate colorful, intriguing insights into decades of history from the American Revolution to the Great Depression. Among William J. Colby’s familial lines noted are Loyalist Dr. Azor Betts and Caleb Haskell Sr., a Patriot of the Revolution who records the events of the Quebec expedition with Benedict Arnold. Caleb Jr., his grandson son married Fanny Matilda Bett’s the daughter of Dr. Azor. The reader will step on board the H G Johnson with Captain Isaac N. Colby and Mary Amelia Haskell and the amazing illustrations painted by artist Elizabeth Cushing Colby compliment Mark’s intriguing tales. Other family members will disclose private moments and candid memories promising to engage the reader. Mark notes that despite the heritage it was his father, Robert Colby, an accomplished writer of memoirs that prompted him to pursue this project. 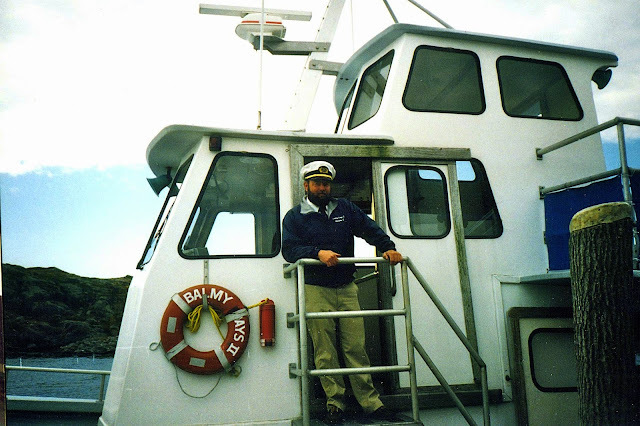 Robert, headmaster of the Hinckley School and commander of the Wawenock Power Squadron, instilled the seeds of passion for both history and maritime. William J. Colby’s bio starts in the Port at the home of his grandfather Caleb Haskell, Jr. where he was born. 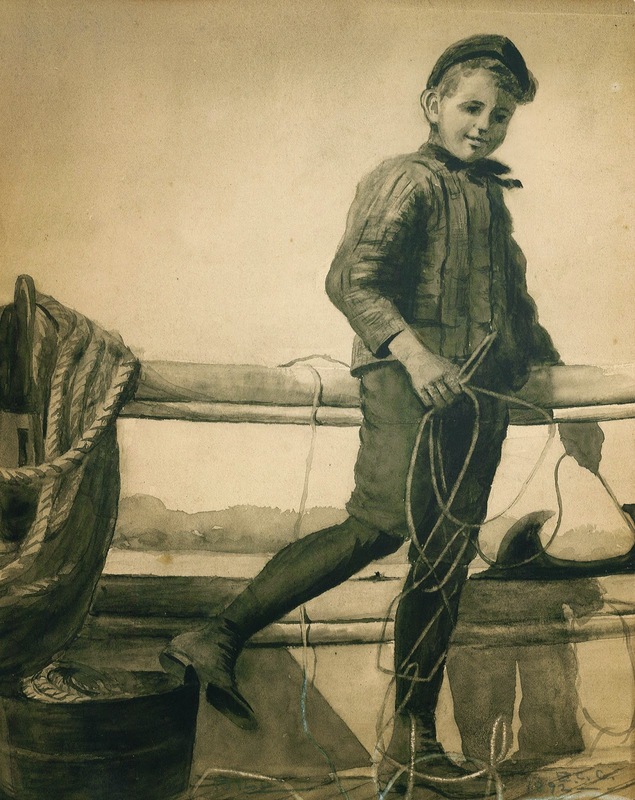 Within a few years William would be sailing the world with his family and his "diary offers a fascinating insight into the life of a ten year old boy while on a working voyage aboard his father’s merchant vessel." The middle years are William’s service in the Spanish American War and his vocational pursuits. Although hindered physically from war and economically crippled from the Depression, William will not give power to any menacing albatross. His stamina, like his Colby predecessors can weather storms and ride out turbulent waves. The later years William spent with his family in Cozy Harbor Maine. Mark presents a beautiful account of the loving family ties and warm friendships fostered in a small community. It is certain that families around the globe will identify with the intimate details shared in this book. An invitation is extended to the reader to surrender to all the imperfections of the human condition where joy and sorrow coexist; such as child rearing, sending a son to war, spiritual strife, economic hardship, and loss of loved ones. William J Colby’s life will also bridge locations From Newburyport, Boothbay Harbor, and ports around the world. Area locals around the Merrimac will relish the countless references to familiar names and hot spots. For example, the H G Johnson was the largest barque ever forged along the banks of the Merrimac and "there was never a mean vessel sent from the seas," winning "high repute around the world." The notable names of Currier, Jackman, Noyes, Lord, Goodwin, and Rolfe had a hand in her wide birth are still echoed among folks today. Fanny G Bray, like William, was another sea urchin born in the Port. In 1854, she sailed the world with her parents Stephen and Elizabeth and her exotic encounters of far way lands stirred a course for her to remain forever one with the oceanic exploration. Fanny became a life long member of the American Seamen's Friend Society and the Port Bethel Society. These organizations provided humanitarian and spiritual support to local seamen. One of the paramount objectives of the Societies would be the establishment of libraries for ships. In 1877, Fanny sent a correspondence to Capt. Isaac noting a gift of 75 volumes of books "hoping that some good seed may bear fruit, even in the forecastle" of his journey and wished him a "heart God speed" in his new start. Another Colby connection with the Bray family is the amazing journal kept by Elizabeth Bray on the sailing adventures aboard the Violant. In November, Custom House Maritime Museum will feature a commissioned musical performance of Elizabeth’s remarkable narrative treasure. Alex Haley once said: "In every conceivable manner, the family is a link to our past and a bridge to our future." For the Colby’s, Anthony’s hardy link began the sturdy bridge which Mark Colby has secured for a few more generations. This is why New England families maintain their strong character and continue to record their histories. Purchase a copy of "A Remarkable Life" contact Mark Colby directly at captmarkcolby@gmail.com. Copies are $20 each. History of the Marine society of Newburyport, Massachusetts, from its incorporation in 1772 to the year 1906: together with a complete roster and narrative of important events in the lives of its members.